Luca Fanfoni, born in Parma, studied at the "G. Verdi" Conservatory in Milan, where he graduated with honours under Gigino Maestri's guide. At a very young age he won the first prize at the International Competition of Stresa, the first prize at the National Competition of Pescara and the first prize at the National Competition of Vittorio Veneto. During this last phase of improvement, he participated to numerous International Competitions winning, in 1988, the first prize at the International Competition "Romano Romanini - Premio Città di Brescia" and winning the International Competition "Giovan Viotti Batiste" of Vercelli in 1987 and the "Enrico Costa" prize in 1989 at the International Competition "Niccolò Paganini" of Genoa. His concerts took place in the most prestigious halls all over the world where he has obtaied unanimous success both from the public and specialized critic so that he can be considered one of the most outstanding Italian violinists. In 2000 he recorded a CD for Phoenix recording house containing musics by E.Grieg, Paganini-Milstein, M.Ravel, A.Piazzolla which was received with great interest and a praises from the specialized critics, and in 2001, at the end of G. Verdi’s centenary, Dynamic discographic house of Genoa issued a Cd containing unpublished pieces and brillinat fantasie on Verdi’s themes for violin and piano. In May 2005 he performed in Rome, Presidential Palace "Il Quirinale", broadcasted by Italian National Broadcaster Rai Radio 3. In 2006 he directed and performed Niccolò Paganini’s 6th Concerto in E minor with the San Marino State Orchestra. In October 2007 Dynamic Records released the complete recordings of Antonio Lolli’s ten violin concertos with Luca Fanfoni as performer and conductor of the Reale Concerto ensemble. In July 2010 Dynamic Records released the complete recordings of Antonio Lolli’s violin sonatas for violin and Basso Continuo with Luca Fanfoni as performer. In December 2011 he did a prestigious tour to Guatemala as soloist with Orchestra Sinfonica Juvenil Municipal in support of the project Muni Joven in collaboration with "Enel Cuore" and with the Orchestra of Los Altos in Xela. In Nicaragua he has performed as conductor and soloist with Nicaragua State Orchestra. Always together with Luca Ballerini he has recorded for Amadeus on-line the cd "Streghe e Demoni" with music by Tartini, Paganini, and Locatelli, published with the December 2013 issue. In 2014 he will tour with the "Pietro Antonio Locatelli" Festival, for the 250° anniversary, with concerts in Europe with the ensemble Reale Concerto. 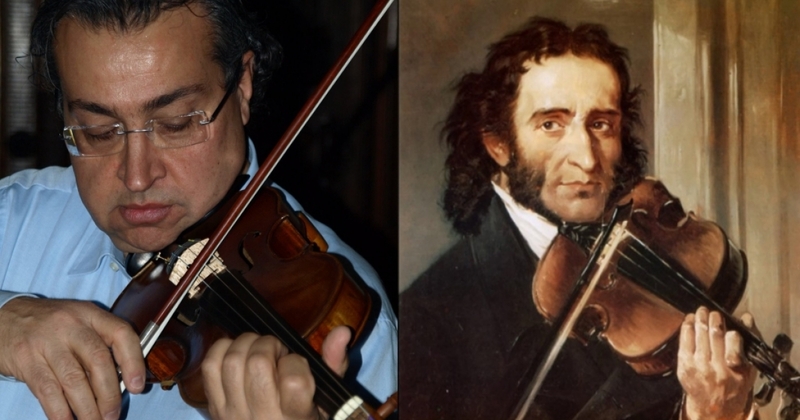 He is teacher of violin at the Conservatory Arrigo Boito in Parma and he plays a 1690 violin by Goffredo Cappa.